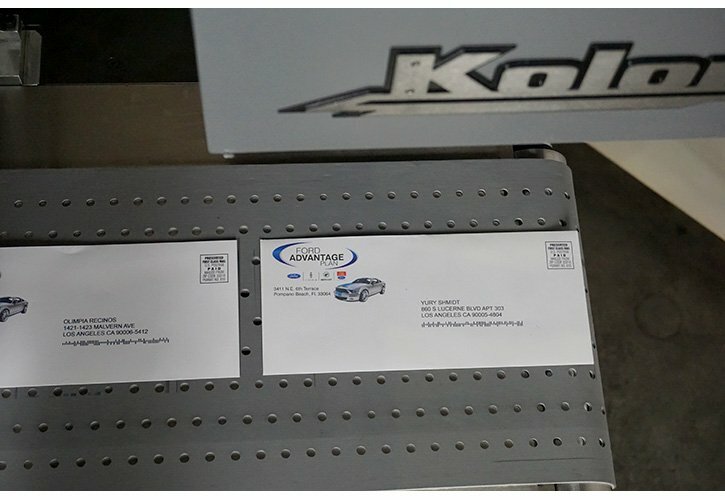 Increase promotional effectiveness and response rates with high-speed, high-quality, variable color added to envelopes and Web printed pages. 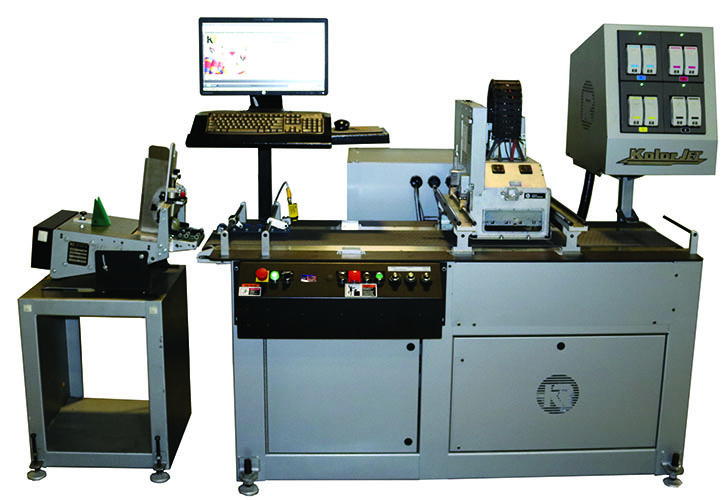 Produce color images, graphics, and variable data at 600 dpi (600 x 300 dpi optimized from 300 x 300 input) at 500 fpm with four 4.25″ print heads. 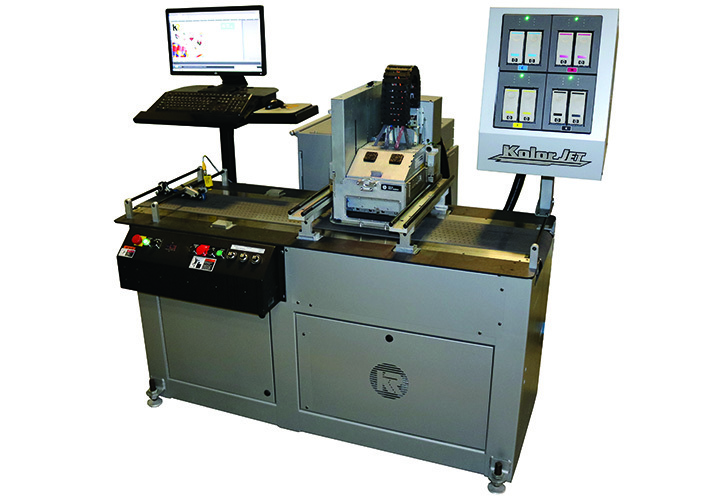 Powered by HP thermal inkjet technology, the KolorJet is an affordable option for adding process color especially versus stand alone equipment. Plus you save time and money with automatic maintenance and low processing costs. 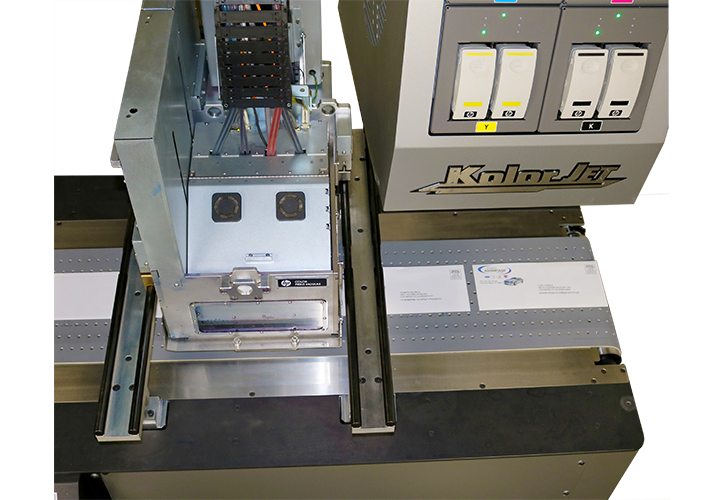 The KolorJet has a modular design to easily integrate with your existing equipment and workflow. 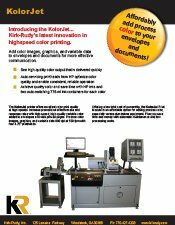 The KolorJet uses water-based (aqueous) inks for optimum performance on porous surfaces only. (Not suitable for coated surfaces).